Should You Buy a Saxony Carpet? Saxony is likely what comes to mind for most people when they think of carpet. It is the traditional cut-pile carpet, with fibers standing straight up and cut into even lengths. It is generally not as long as a frieze but stands higher than most berbers or cut-and-loops. A straight Saxony has all of the fibers going in the same direction to present a uniform color. This style is also sometimes called a velvet Saxony because it presents a similar appearance to velvet. If you brush your hand across the surface, you will see the difference in color where the disturbed fibers are now moved in the opposite direction. This style of carpet is beautiful and luxurious but will show every footprint and every vacuum stroke. A more recently popular style of Saxony is the textured Saxony, also known as a trackless. This style has the same general characteristics as a straight Saxony, but the key difference is that the fibers are kinked or twisted in different directions. They reflect the light differently, which means that when you brush your hand across the surface, you don't notice as much of a difference in color. Therefore, textured Saxonies help to mask footprints and vacuum marks, making them a popular choice for busy households. Saxonies are available in every quality, from the lowest grade to the highest. The Saxony style is also available in every type of carpet fiber, including nylon, triexta, polyester, and wool. The durability of the Saxony will depend on all of the variables involved: the type of fiber, the twist of the fiber, the density, etc. It is important to select the proper balance of all of the variables to ensure you choose the right quality for your environment. Higher traffic areas would do best with denser Saxonies with a high twist. Color aside, a Saxony is almost never out of style. It is a classic look that can work well for both formal and casual settings. When selected properly according to usage conditions, it can be very durable, and look beautiful for many years. Some consider Saxony to have less 'personality' than other styles, due to its relatively uniform color and pile height. It is definitely not as trendy as berber or frieze—this could be seen as a good thing or a bad thing, depending on the point of view. One other point about Saxony is that it can be very deceiving when it comes to quality. 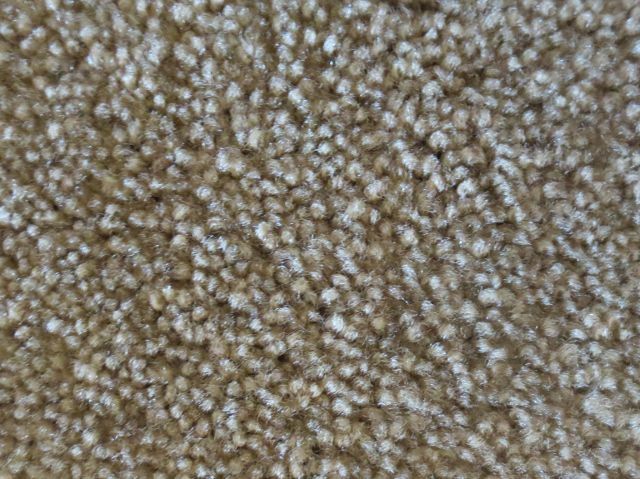 It can be tricky to tell the grade of the carpet just by looks - what appears to be a full, dense carpet can sometimes just be a relatively small number of fibers 'puffed up'. Be sure to determine the quality of the carpet, and read the specs carefully. Saxony is available in many different qualities, so it generally is applicable in all areas of the home. A high-grade textured Saxony is a good choice for busier areas of the home, such as stairs and family rooms. A straight Saxony usually looks best in more formal areas, such as living rooms or parlors. You are likely to find at least one variety of Saxony that will work for your particular situation. Just be sure to select the quality appropriate to your conditions.